Today’s Creative Cafe project was made using dies from Spellbinders NEW Amazing Paper Grace Collection. 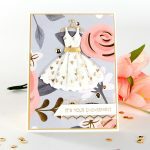 Our dies help you design a beautiful, polished looking card for a special occasion or just because. 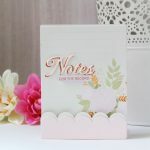 In this video, designer Tina MacDonald, shows you how to hand make an elegant pocket card. 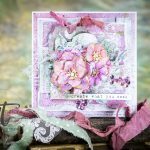 Have you tried Spellbinders’ NEW Contour steel rule dies yet? Designed for today’s Modern Maker, Spellbinders’ Contour Steel Rule Dies add a whole new dimension to your creative projects. Together, our Platinum Die Cutting & Embossing Machine Contour Steel Rule Dies allow you to cut even more in a single pass! Choose from over 25 designs.